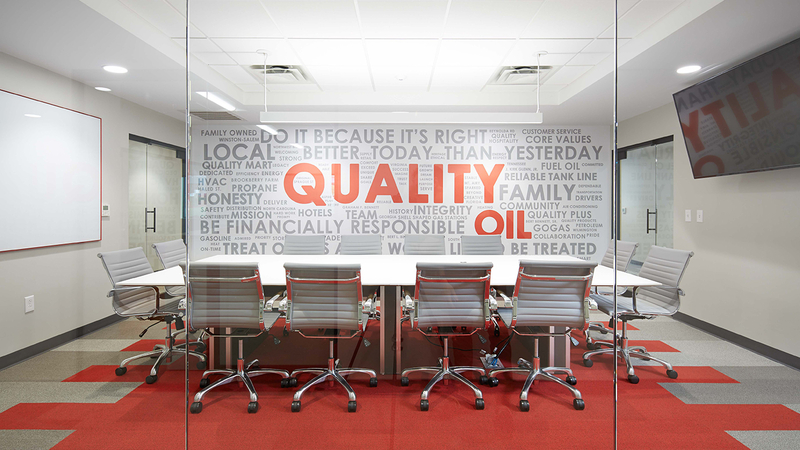 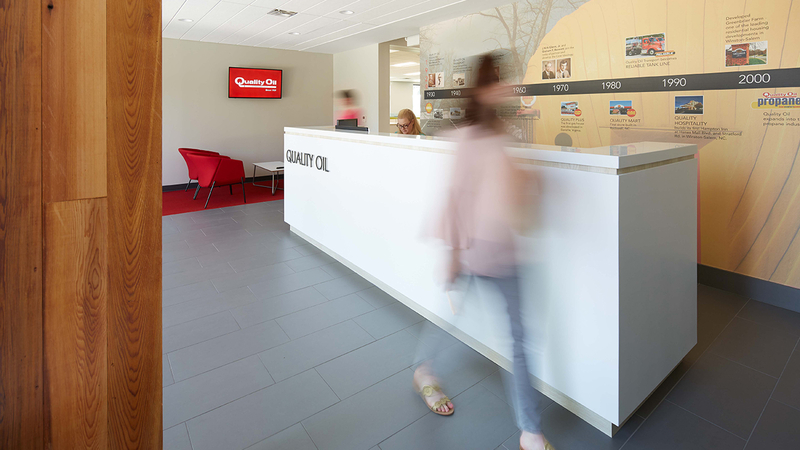 This project involved the renovation of Quality Oil’s Corporate Headquarters in a 1960s building in Winston-Salem. 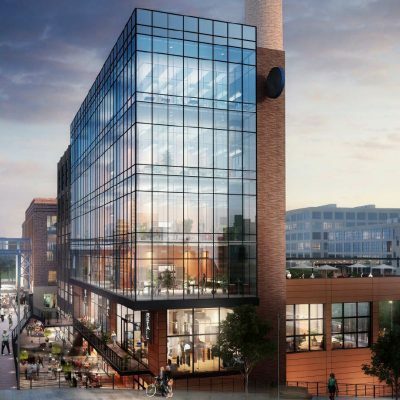 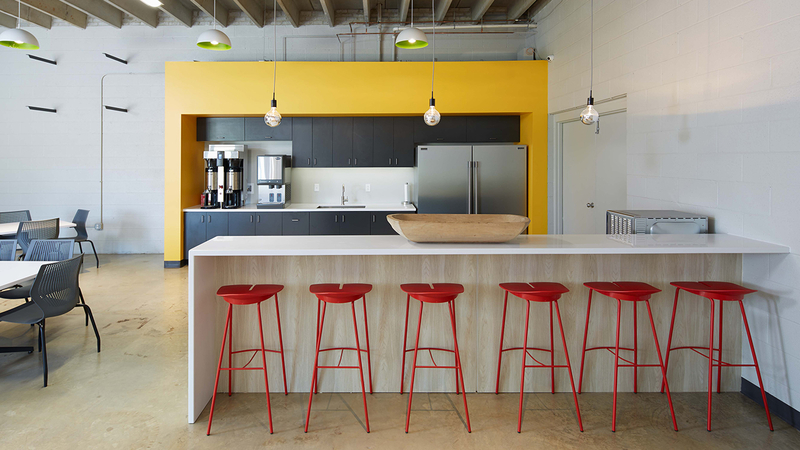 Nearly 11,000 square feet of office space, conference rooms, break room and mail room was completely gutted and renovated. 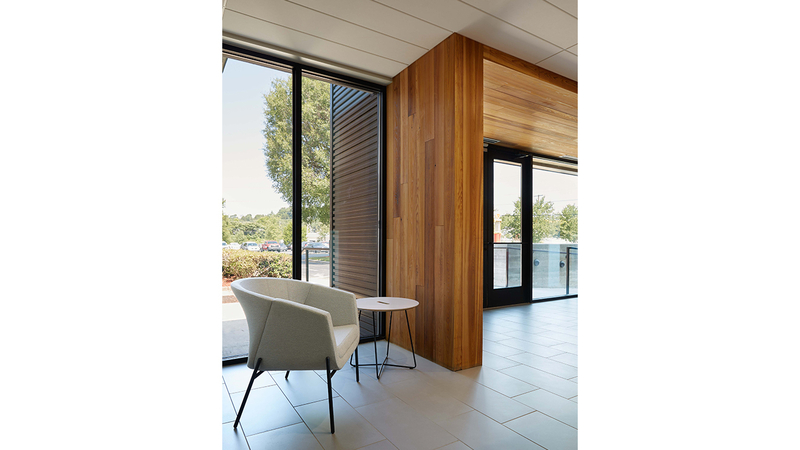 Updates include paint, new flooring, Corian reception desk, new outdoor patio, new interior glass walls and doors and a new cedar and metal building entrance. 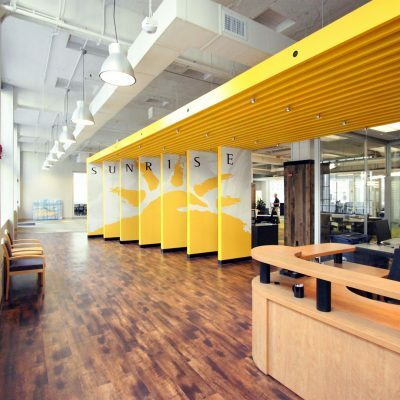 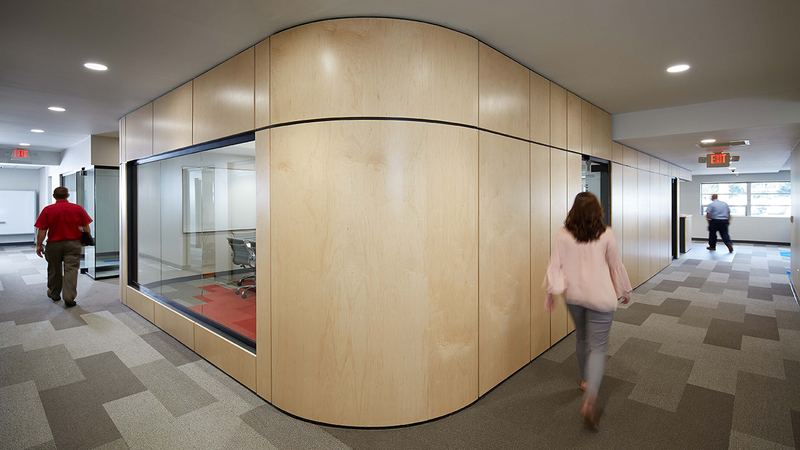 Existing office walls were torn down to achieve modernized, open work spaces.